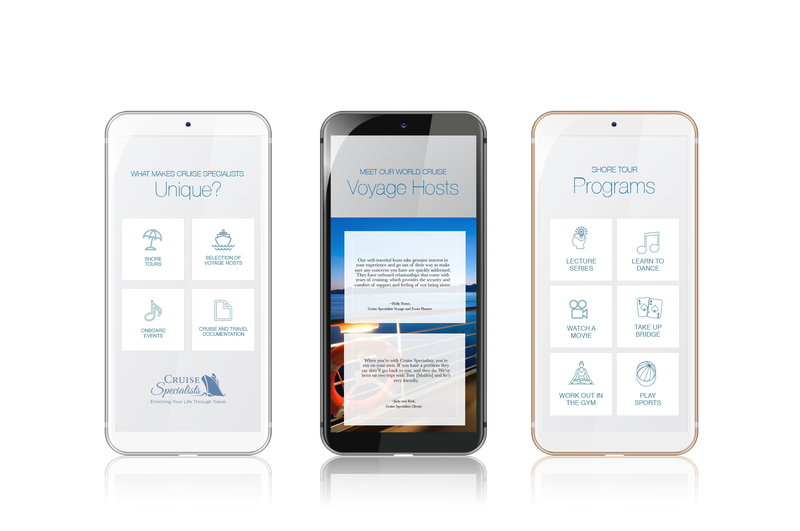 Visual and narrative design is never more important than when communicating the multi-faceted experiences of travel and leisure. 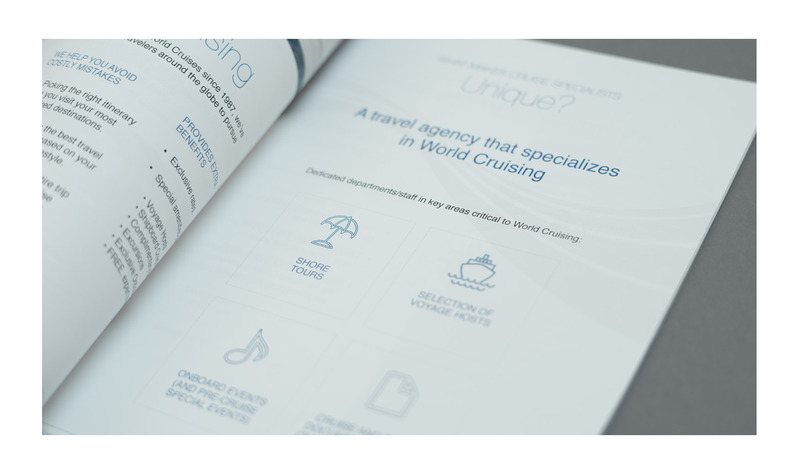 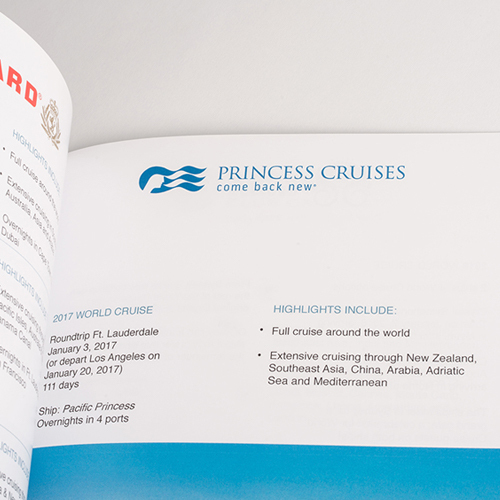 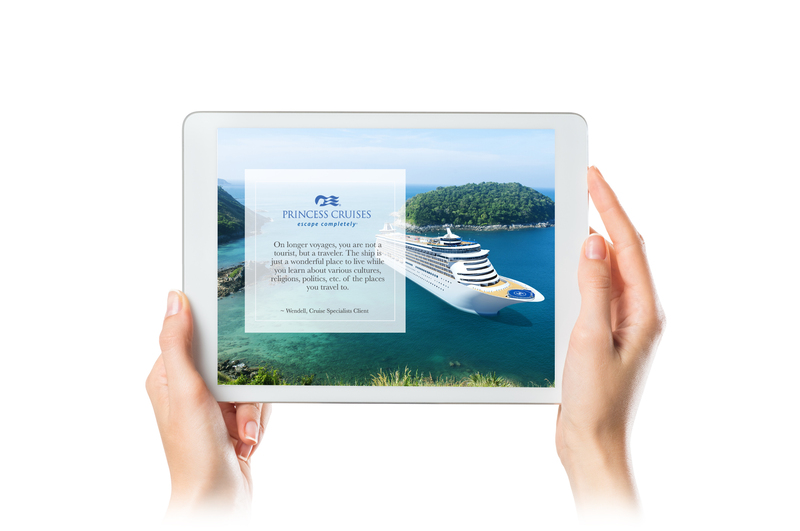 Cruise Specialists needed a suite of collateral media assets that captured their iconic brand, and allowed their audience to navigate the myriad possibilities of a planned voyage. 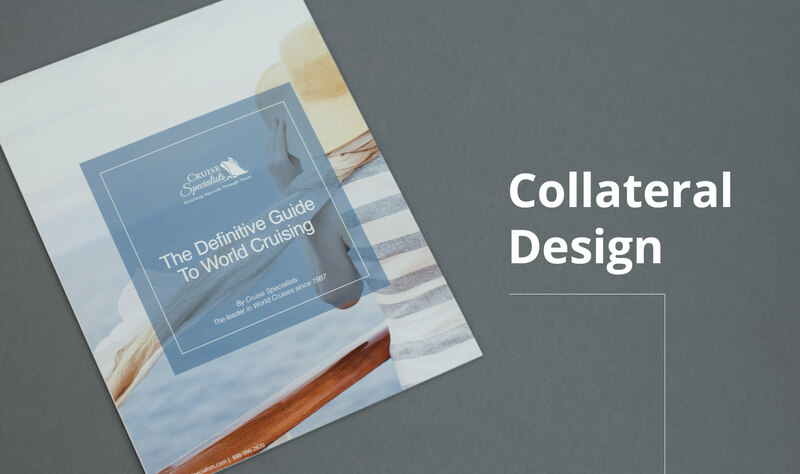 Designing for the Brand Personality, Capturing the Cruise Experience. 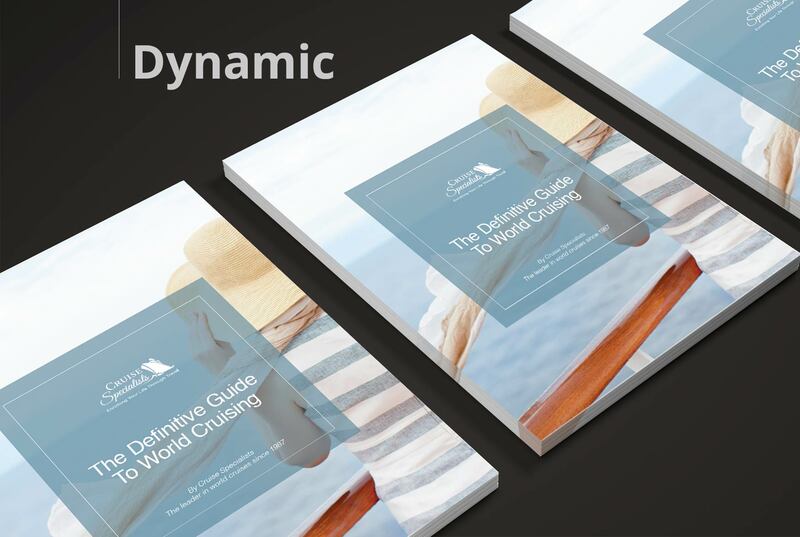 The collection of media designed to represent the brand experience, from business cards, to brochures and presentation decks, needed to reflect the enterprise personality of a world-class cruise line. 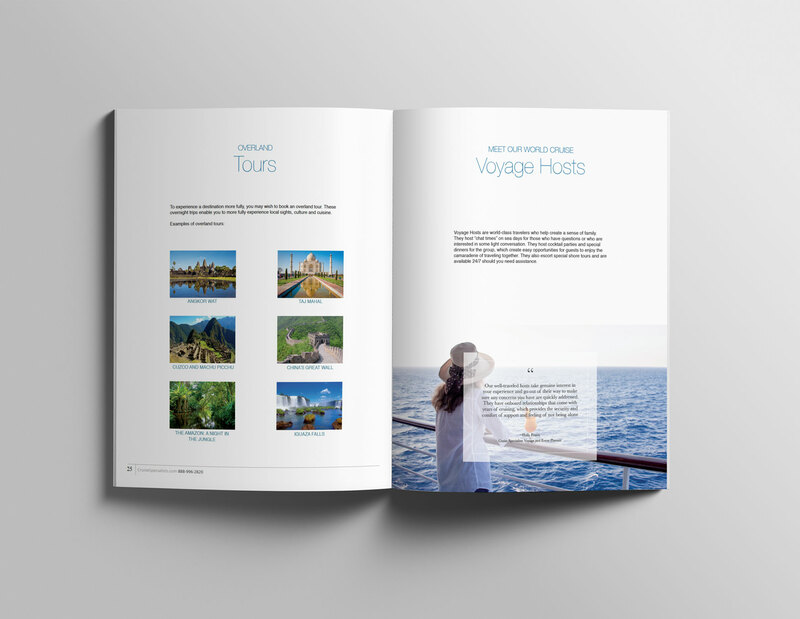 Well designed collateral media is integral to engaging the audience in the brand culture, building trust, connectivity and knowledge about products and services. 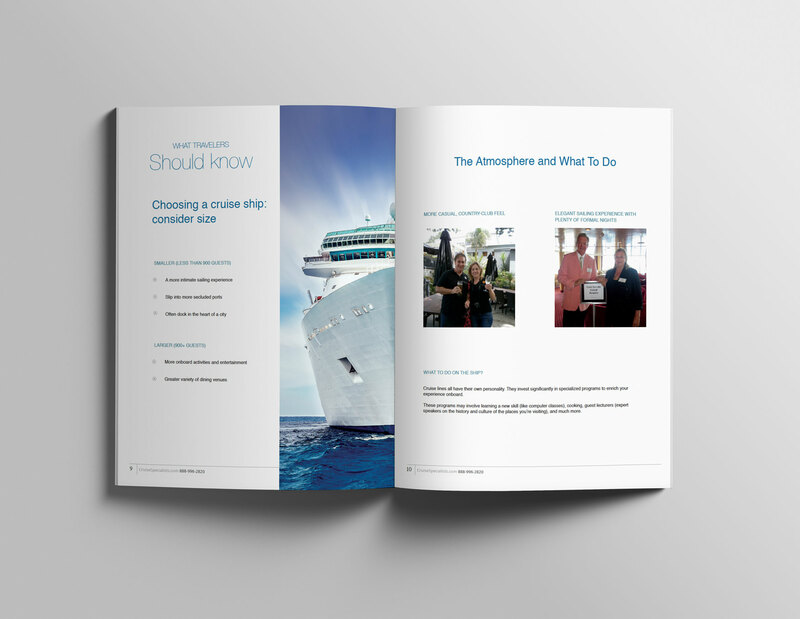 Quite literally, the passport to next steps. 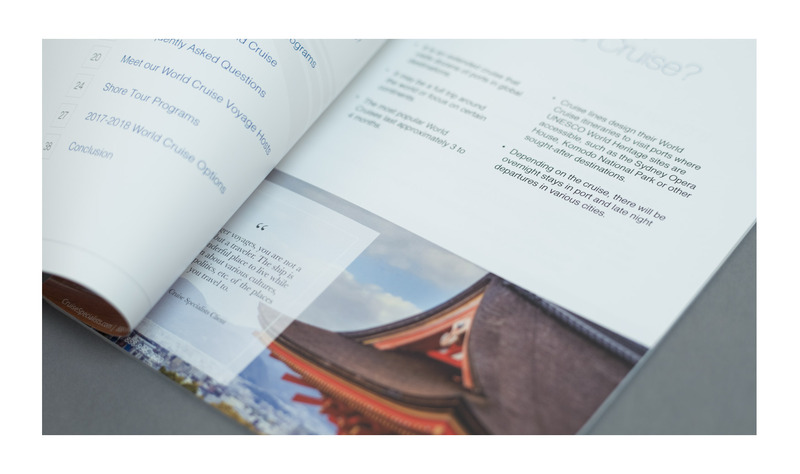 Brand assets are the keys to conversation, from the introductory meeting to creating the storytelling and visual impressions that the audience and customers will want to explore. 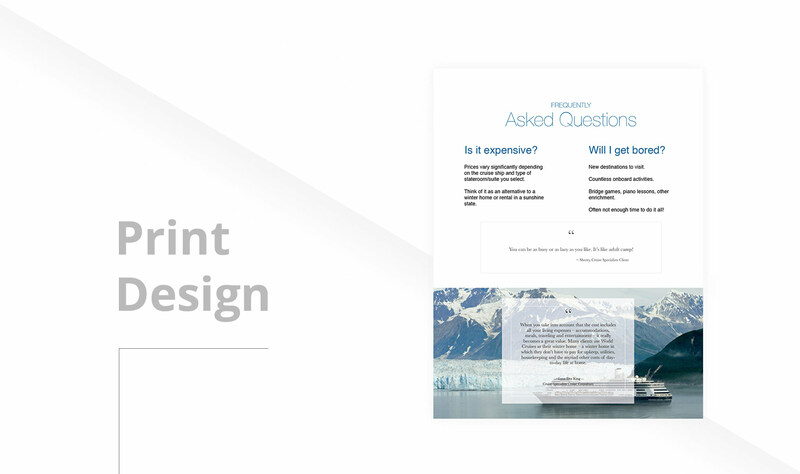 The UX/UI of print collateral media mirrors that of the digital experience, creating consistency, clarity, and conversion.